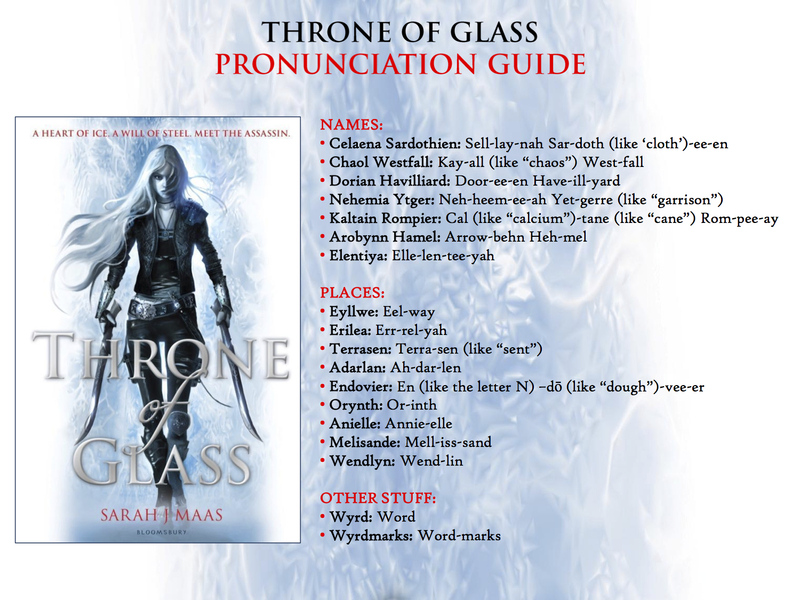 Today I’m going to talk about “Throne of Glass” by Sarah J Maas. This book is a young adult fantasy novel with action, romance, and lots of sassy talk. Basically it’s about an eighteen year old girl named Celaena Sardothian (see pronunciation guide) who is an assassin being kept in a salt mine, which may as well be a death camp, as prisoner of Adarlan. She is given a chance at “freedom,” though, when the captain of the guard, Chaol, and the Crown Prince, Dorian, offer her to be the King’s Champion for a set period of time before she truly gains her freedom. Well, it was either that or suffer longer at the mines, so she decided to go ahead with it. She thinks of escaping multiple times, and though she doesn’t because she eventually realizes what it would cost her, she does learn many things, as well as rebuild her strength, possibly fall in love, and develop friendships with several of the people around her. In the novel, Celaena has to go up against 22 other champions that are trying to win the title, but due to circumstances unknowing to them, many of the champions are killed along the way – though some do die in the tests given to them to prove their worth. Celaena realizes a pattern of the deaths as time goes on and she tries to figure out the mystery, all while training and making herself stronger than when she had left the mines. This creates many problems throughout the competition, but she does make several allies, and one main enemy, who she has to deal with toward the very end. 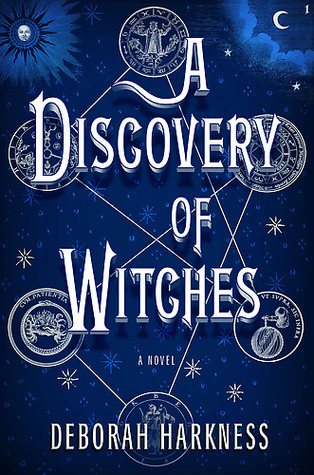 This book was full of intrigue, action packed sequences, mystery, love (the sort of, most likely, forbidden kind), and all sorts of magic. Did I mention that magic isn’t supposed to exist in the world anymore, but somehow it might? Yeah, it’s kind of crazy. I rate this book 5/5 stars and definitely recommend it. Have you read the first book? What did you think of it? Let me know in the comments! 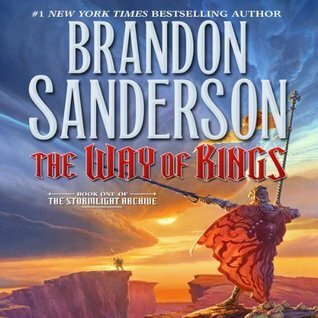 This entry was posted in Book Review and tagged 5 stars, book, fantasy, read, reading, review, romance, sarah j maas, throne of glass, ya, young adult. Bookmark the permalink. YAAAAY! 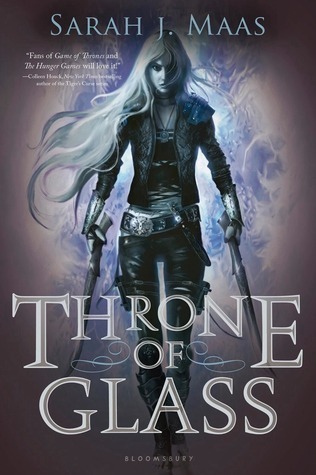 Throne of Glass is awesome! I’m currently reading Crown of Midnight and it is true, it’s EVEN BETTER than the first one 😀 Great post! Thanks! And I agree – I’m loving it even more!